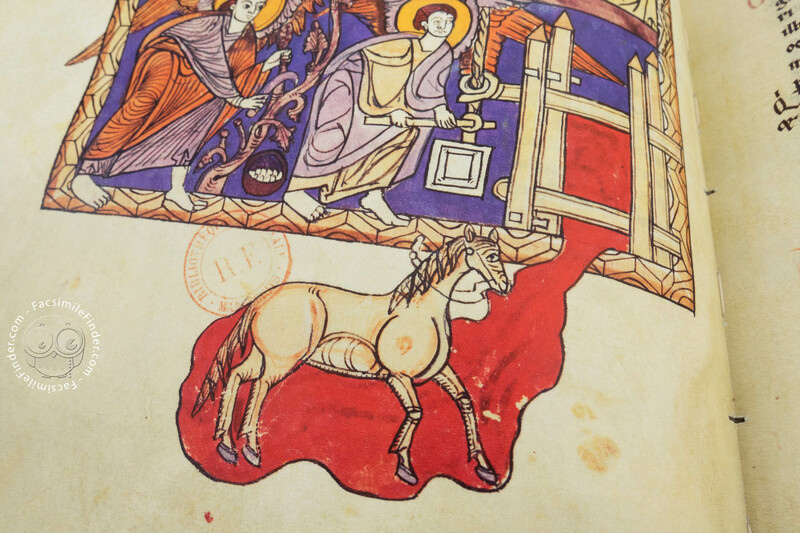 The term "Beatus" identifies a particular medieval manuscript, generally of Spanish origin, that contains a collection of textual comments on the apocalypse of Saint John. 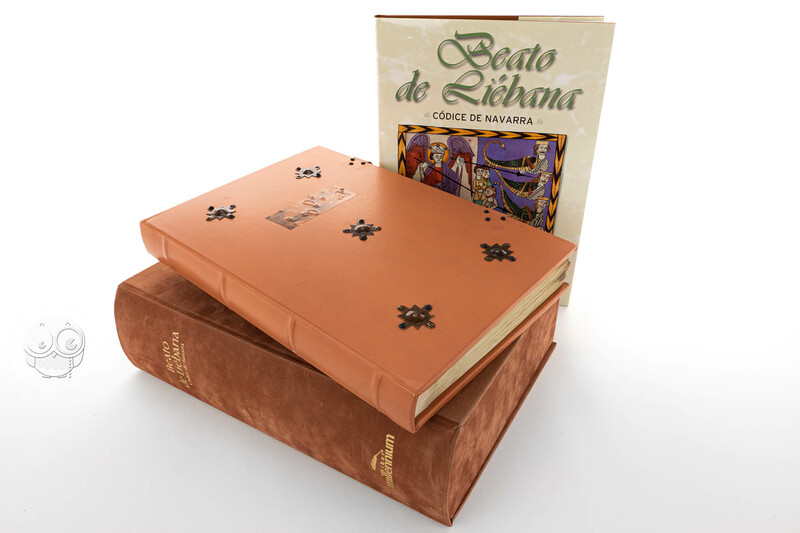 The aim of the author, Beato of Liébana, was that of indoctrinating and educating the clergy, although, in some cases the manuscript was also used for certain rites and rituals. 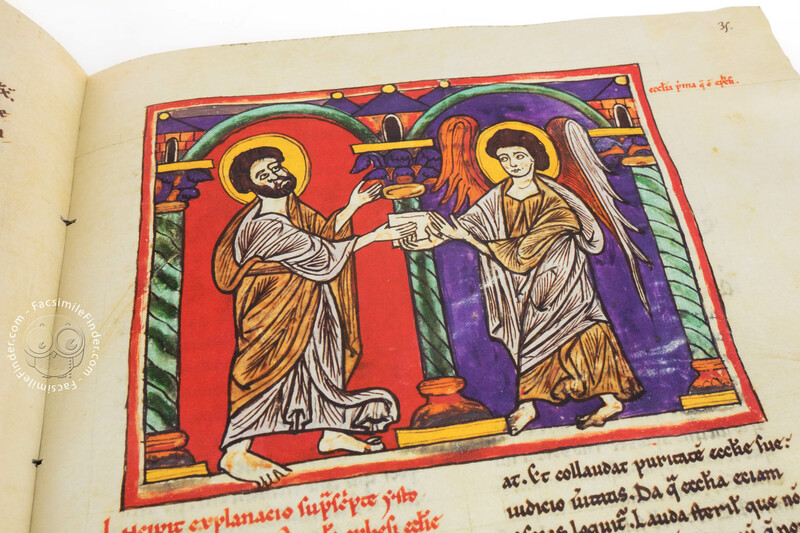 The first version of the commentary was successively edited by the very hand of Beatus, as well as by later authors, each of whom contributed in creating different versions. 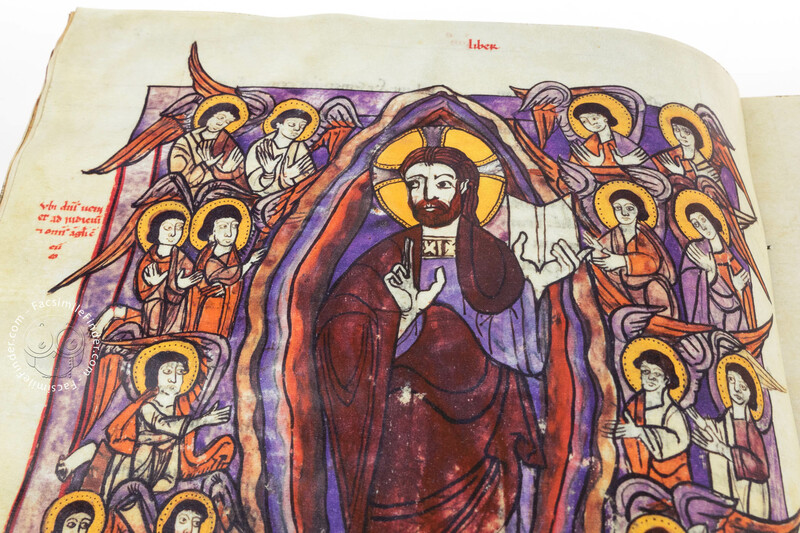 There are 27 illuminated manuscripts that have been identified as having these characteristics and are, therefore, named "Beatus of Liébana" and are conserved in various libraries around the world. 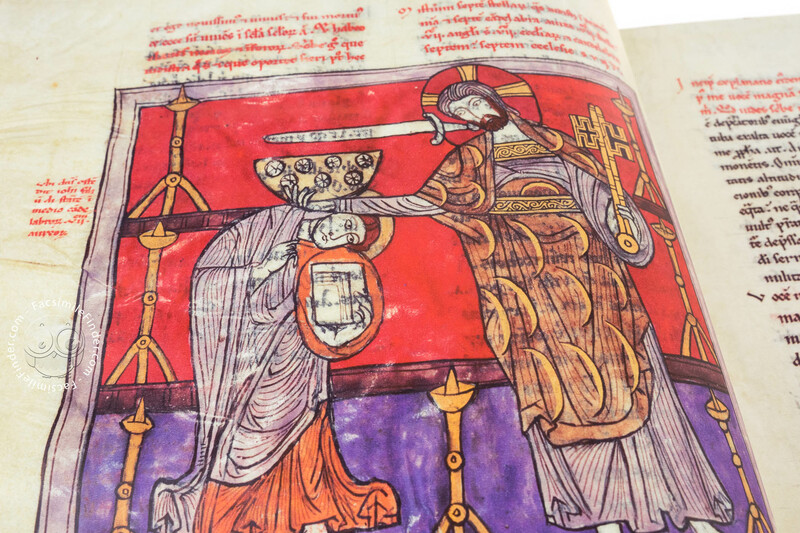 The Navarra codex is a later version of the original commentary that dates back to the year 784. 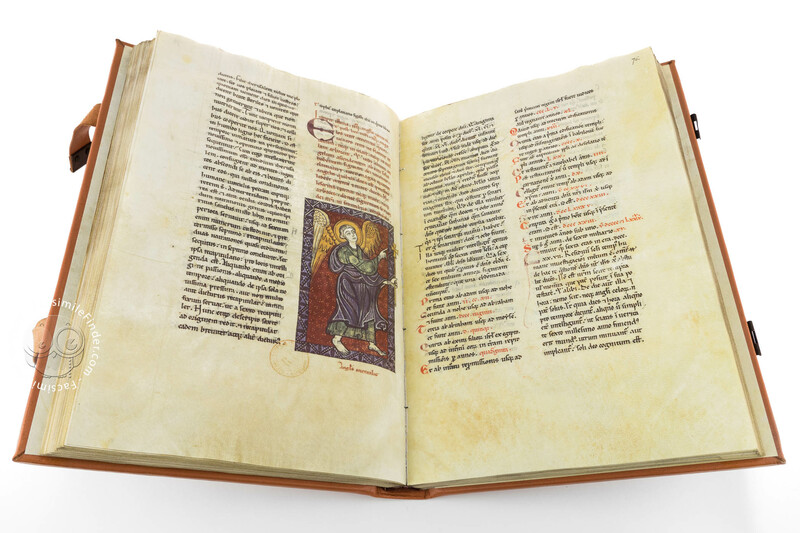 In order to identify one of its original safe havens, it is necessary to consult the final chart of the manuscript: a document dated 4th May 1389 and signed by Charles III of Navarra, the owner of the manuscript. 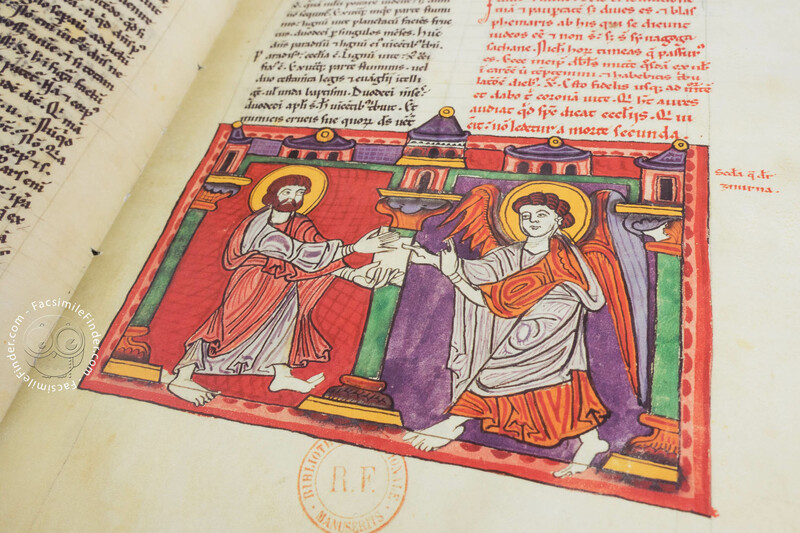 Another document testifies that, in the year 1665, the manuscript was housed in Pamplona cathedral. 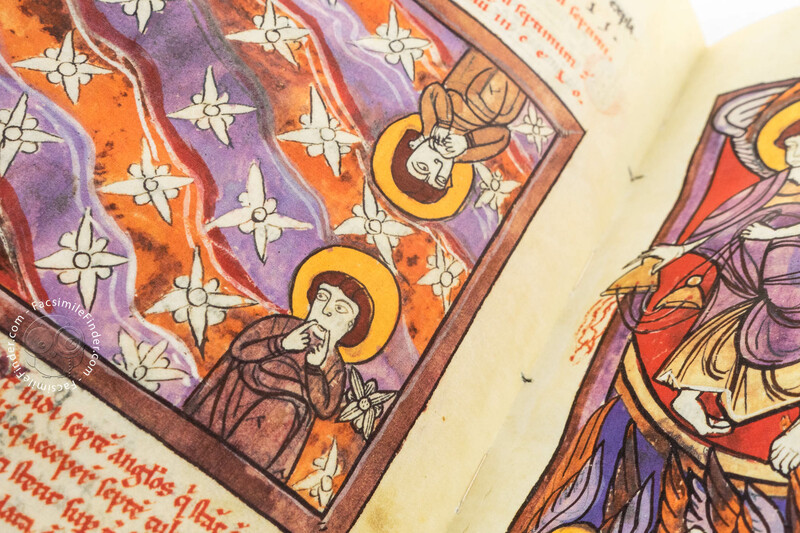 From then until the 19th century little is known about the manuscript when it was purchased by the French National Library for the pretty sum of 2,000 francs – it was added to the library’s already precious collection that included two other equally important "Beatus". The library director, Leopold De Lisle, was particularly impressed by the intensity of its colours as well as the strength of the images, and its style was recognisable as being that of the northern school of Spain. 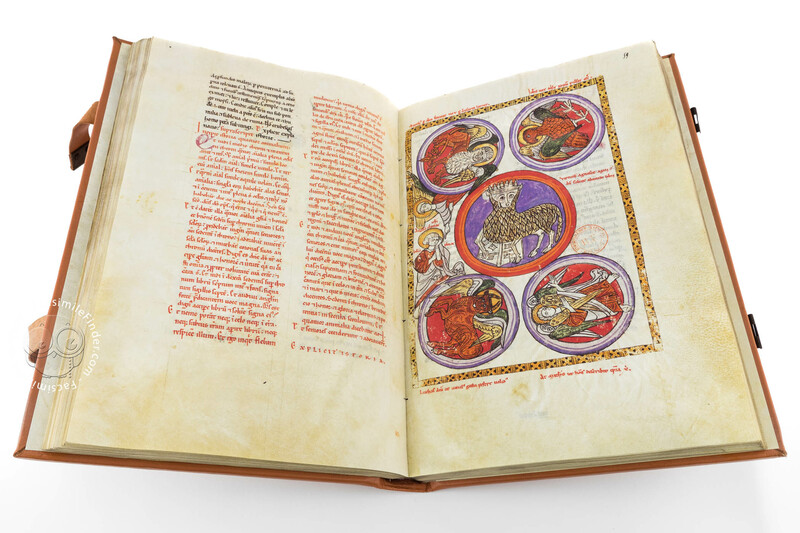 He immediately embarked on a study that involved the first real comparison of the then-known "Beatus". 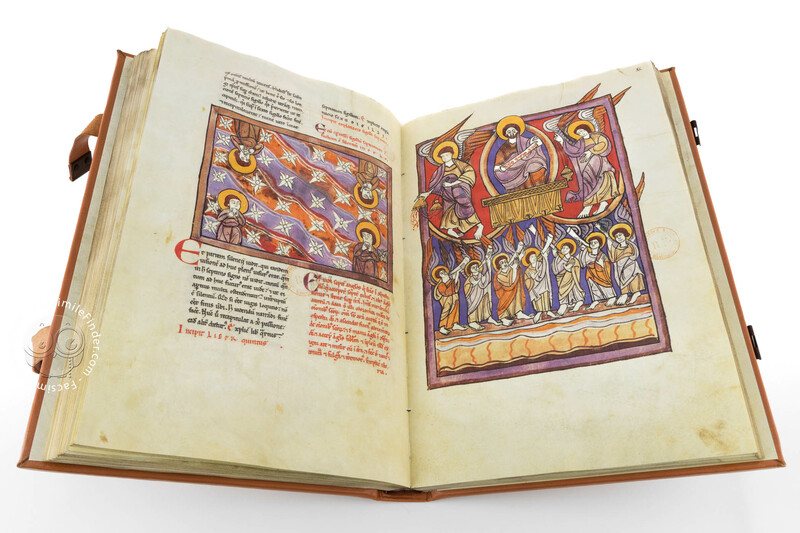 The manuscript contains an illustrative body composed of as many as 60 illuminations, some of which are full-page or double-page. They are images that have a great expressionistic power and are of a very strong visual impact. 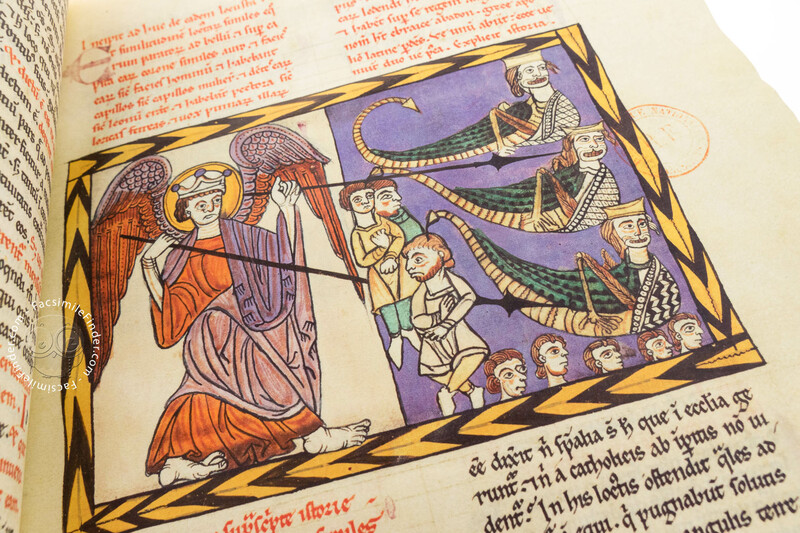 The pictorial scheme is based upon the pre-existent North African ancestorial models, but the influence of the emerging Gothic artistic style is evident, this style eventually reaching Northern Spain in the 12th century via Cistercian monks or pilgrims on their way to Santiago de Compostela. 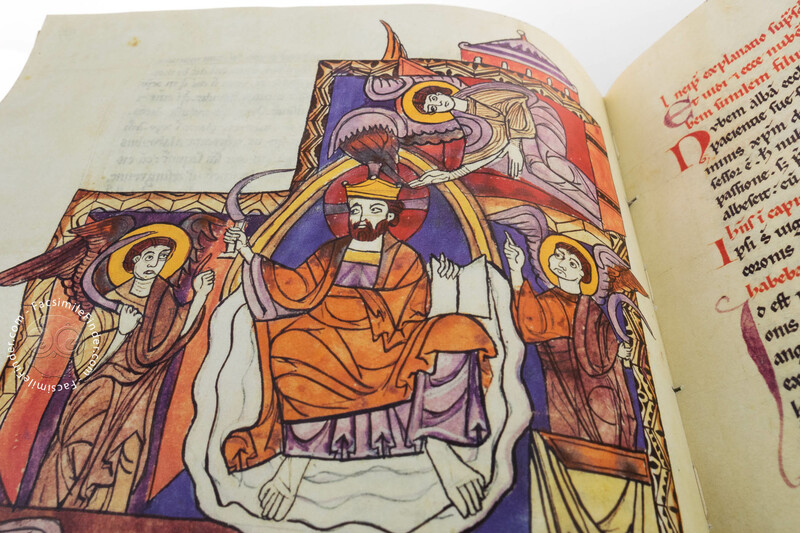 The elegant late Carolingian script and the coloured, or watermarked, initials contribute, along with the illuminations, in achieving the sole purpose of the manuscript, namely that of transmitting the strength of the message of the Book of Revelations to readers. 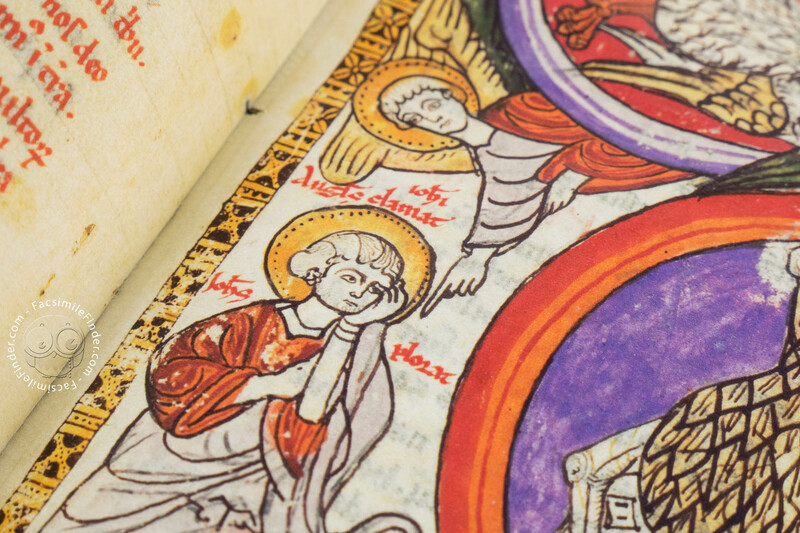 Manuscript book on parchment − 34 × 24 cm − 314 pp. 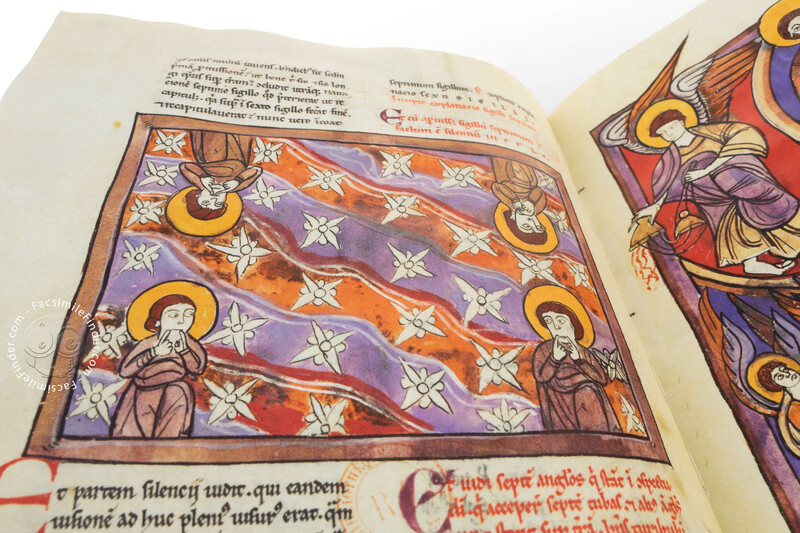 Full-size color reproduction of the entire original document, Beatus of Liébana - Navarra Codex: the facsimile attempts to replicate the look-and-feel and physical features of the original document; pages are trimmed according to the original format; the binding might not be consistent with the current document binding. 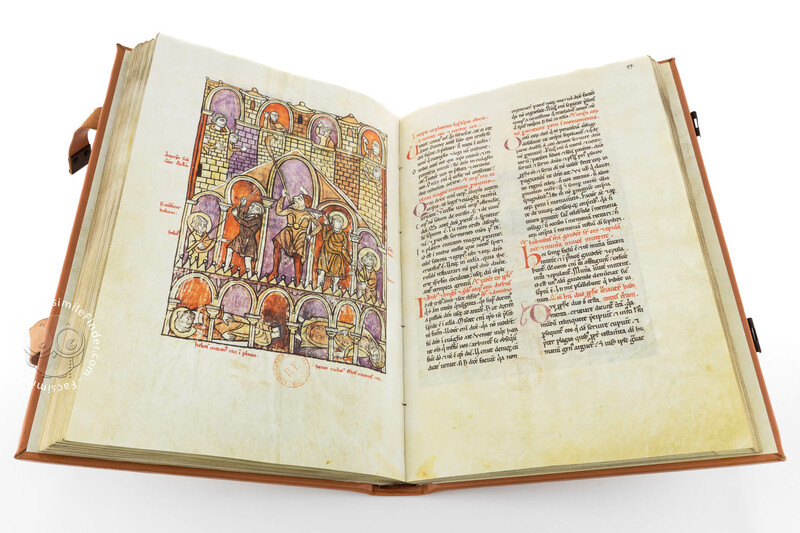 The integral facsimile edition of the manuscript has been produced by Millennium Liber with the permission of the Paris National Library. 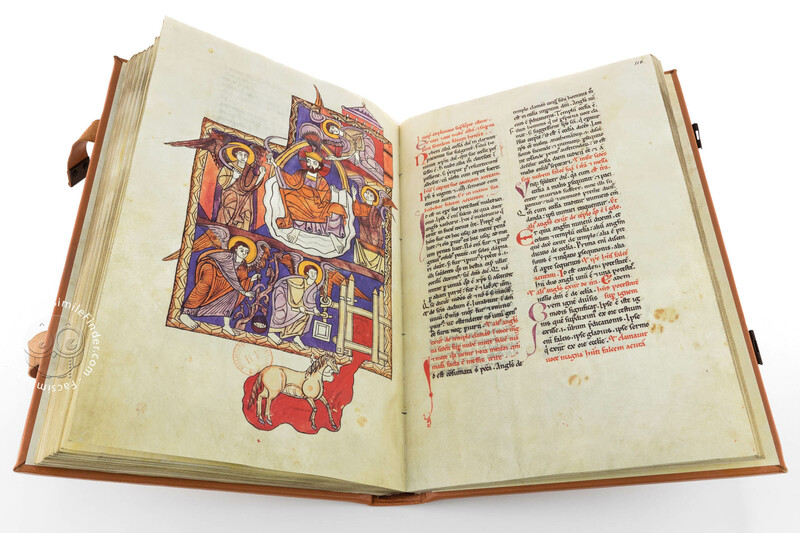 The edition has been color-printed on special pergameneous paper, that has been treated and aged in order for the strength of the natural colors used by illuminators and scribes to stand out in their full glory. 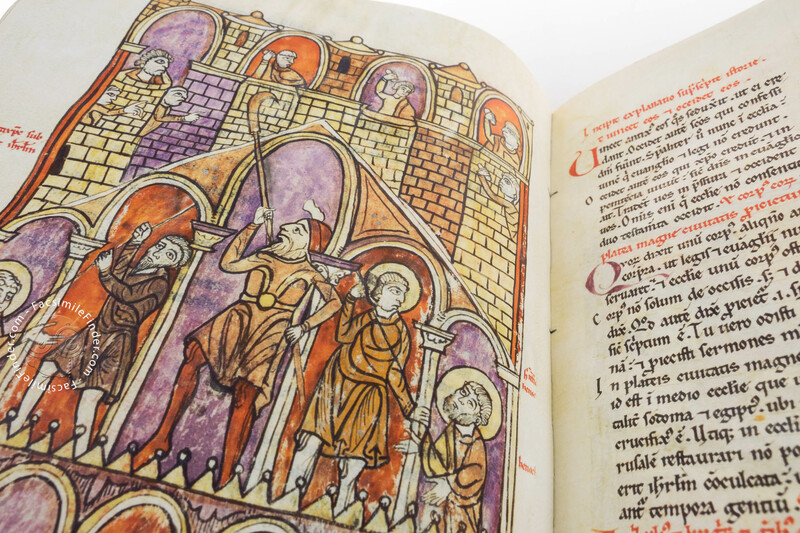 The accompanying volume contains a historical, artistic and paleographical study by Elisa Ruiz Garcia, with an introductory passage by Marie-Pierre Laffitte, curator of latin manuscripts at the French National Library. Distributed in Italy by Il Bulino, edizioni d'arte. The wooden binding is covered with light brown leather with studs, cartouche and small closing straps. The spine is divided by four bands. The label on the inner front cover indicates its position in the library. Every single booklet has been hand-folded and hand-sewn according to ancient craftswork methodology. Velvet box.